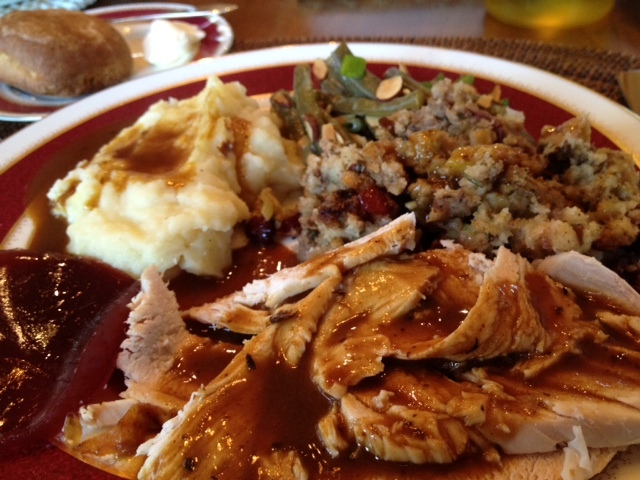 The recipe below is for my Grandmother’s Thanksgiving turkey recipe. 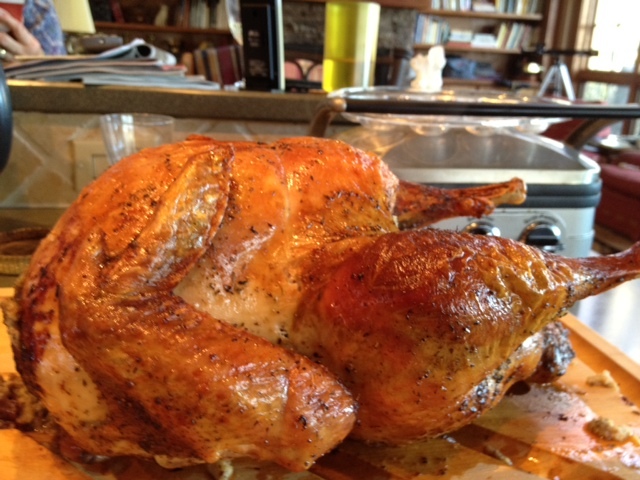 I love this recipe because it’s simple, but produces the juiciest turkey that isn’t over-seasoned. 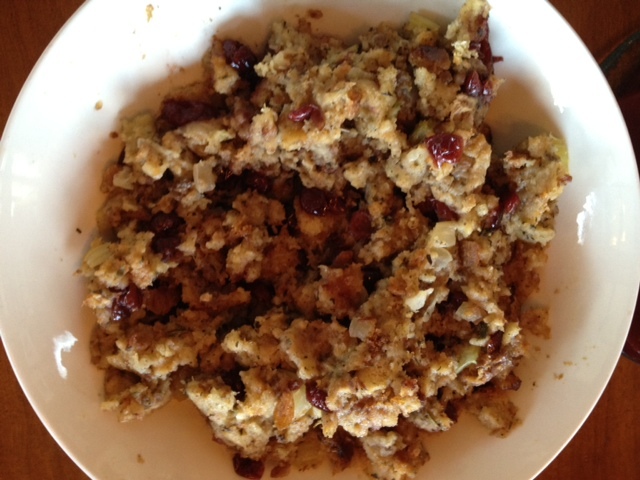 My Grandmother wrote this recipe in November 1960 and it’s still a crowd pleaser today. 1. Follow directions for thawing bird if frozen and be sure to allow enough time for this. Then clean bird thoroughly and remove any traces of lining from inside around the bones. 3. Rub salt, pepper, and poultry seasoning along the inside cavities of the bird. 4. 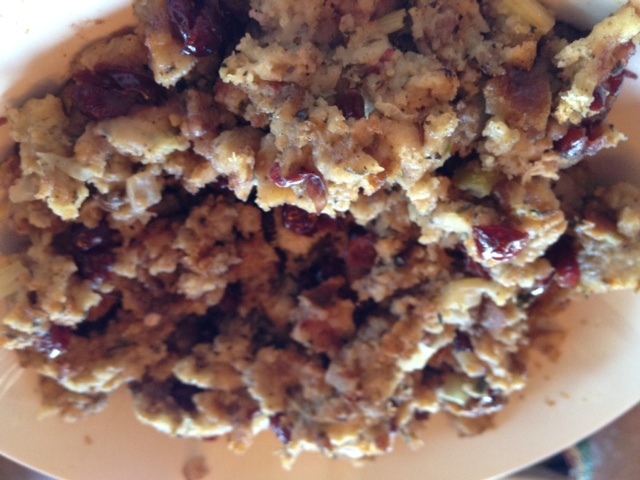 Stuff the bird according to directions on Thanksgiving Dinner: Mom’s Stuffing post. 5. Rub salt, pepper, and poultry seasoning along the outside of the bird. Cover the breast of the turkey with cheese cloth (this will prevent the breast from burning or drying out). 6. Place turkey in a shallow pan. It’s best to use not too deep of a pan as the turkey will brown better in a shallower one. 7. Melt 2 stick of butter and pour 3/4 of this over the turkey. The remaining 1/4 you will use in your first basting of the turkey. 8. Pop the turkey in the oven and set your timer for 20 minutes. When it rings, open the oven and pour the remaining butter over the turkey. Also, use your baster to take the juices from the bottom of the pan and cover the turkey. Put the turkey back in the oven. 10. Remove turkey from oven and set on a carving board. Cover with tinfoil and let sit 20 minutes before carving/serving. Save the juices at the bottom of the pan as you will use these for the gravy (see Thanksgiving Dinner: Dad’s Turkey Gravy).